Abbie and Alex are one of the most fun couples I’ve ever worked with! 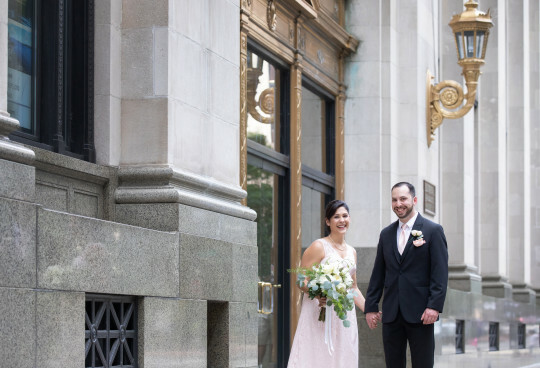 They had a stunning wedding in the heart of Boston. We starting at the utterly cool Revere Hotel where we staged their first look on the rooftop overlooking the city. After the ceremony guests were invited to celebrate at a fabulous restaurant a few blocks away called Post 390. It was a non-traditional space, and so fun for a wedding. Guests listened to some truly heartfelt speeches and dined bistro style. Through it all Abbie and Alex just glowed. I loved watching them together! Nikki Cole is a professional photographer who captures Weddings, Bar and Bat Mitzvahs, Senior Portraits and other life events. Please contact her to start telling your story!